With the rise of dual income households, there is a day care need in America. According to recent studies, corporations who get onboard with child care report lower turnover, lower absenteeism among parents whose children attend the center, and better recruitment efforts. Those facts alone should make providing day care benefits worth your consideration. Other countries do it with great success, but America has been reluctant to change its standard workweek. Until now. More and more companies are permitting employees to work four, 10-hour days a week. And the results are surprising. Employees accomplish more in a reduced work week than the usual 9 to 5, five days a week. It seems that Fridays may be even more unproductive than anyone realized. Take better advantage of the part-time workforce. Allow job-sharing. A recent study of working parents with small children found that job-sharing was considered a highly attractive option when considering an employment opportunity. According to a report in Human Resources Executive, two employees sharing one job are more productive than one employee working full time. This can also save money on bottom-line expenses like health care. In a study of American workers by the Gallup Organization, it found that a vast majority of employees consider flexible hours an important part of a job. Develop a work schedule that meets both your needs and your employees. Productivity will increase, absenteeism will decrease, and employee morale will soar. Consider these benefits, and keep your options open to other ways you can meet employees’ unique needs. Sounds risky, but studies show that productivity increases when people work at home. Of those surveyed in a study by Dell and Intel, half believe they are more productive there than in the office, while 36 percent think they are equally as productive in both locations. Just 14 percent of those surveyed believe they get less done when working from home. Why? It seems that when employees are based out of the house they work at their peak times with fewer interruptions and distractions, have more freedom from peer pressures and productivity norms, spend less time and energy dealing with the hassle of commuting, and miss fewer workdays. And with laptops, smart phones and teleconferencing technology available at reasonable cost, there’s practically nothing an employee can’t do at home. Encourage employees to consider improving their education, and offer tuition reimbursement if their selected course of study can benefit your company in the long run. Be sure to set up a system that ensures employees won’t “skip town” once their degrees are well in hand. Provide opportunities for employees to attend seminars that will improve their skills. Hold in-house seminars if costs necessitate. To foster career guidance, set up a mentorship program in your company that pairs high-level executives with young professionals. Do what you can to show that you’re willing to invest company resources to help your employees move up the corporate ladder, and they will stay to see how far they can go. Guaranteed. High cholesterol and high blood pressure counts are among a corporation’s worst enemies. Keeping your employees healthy should be a major priority. Many companies pay for employees’ health club memberships, offer rewards for employees that quit smoking, and hold aerobic classes during work hours. When employees reward your company with outstanding results, reciprocate the effort. Some companies provide incentives such as trips to tropical islands, company cars, or gadgets. Don’t offer the same incentives over and over again. Seek out different ways to reward your employees to maintain an edge on competitors. And whatever the incentive, make sure it meets a real need of the employee. 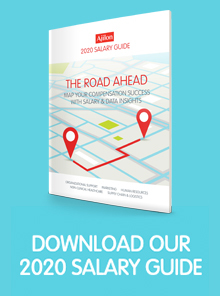 For tried and true compensation information, check out our 2019 Salary Guide.